Dimensions: 10 Inch Overall Length. Description: The 3-prong rakes is convenient for working the soil during transplanting, as well as for general care. The rake is used to gently remove soil around the roots and to stir up the soil. The symmetrical spatulas are well suited for tamping soil around the base of Bonsai. 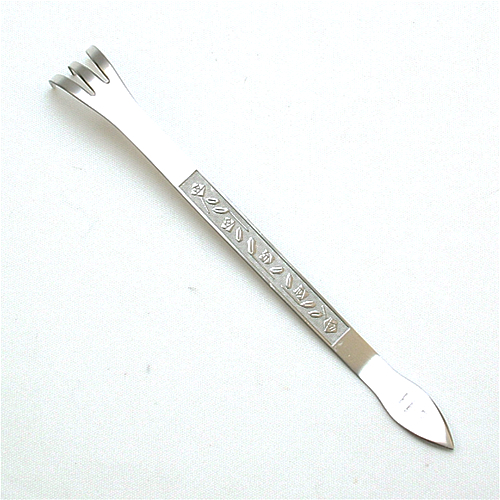 This bonsai rake features satin-finished stainless steel construction with attractive, embossed floral pattern.